HOW TO LIVE WELL AND SAVE IN A RECESSIVE ECONOMY. Well this post goes to everybody been affected by the word Recession. The Giant Of Africa (NIGERIA) Has seem to had a little down slide on her feet which has affected millions. Even a kid in the womb knows what the country is going through right now so am not here to talk about the problems am here to provide a solution while RECESSION Lasts... LOL! Thinking of how to save money in Nigeria after the credit alert comes in from the bank? There’s no better time to spell out what your saving goals are for the month than the beginning of the month. In other words, what you intend to do with your salary is just as important as the salary itself. Whatever happens, you have to keep track of your expenses. One easy way to do that is to come up with a rating system. For instance, if you earn N100,000 monthly and plan to save 60% of your salary monthly, draw up a rating system. Say, at the end of the month, you end up saving only 10% of your income, be honest enough to score yourself an F9. However, if at the end of the month, you discover that you have saved 60% or even 65% of your earnings, then you deserve an A1 rating. However, you have to keep it realistic. Always remember that you cannot save 100 per cent of your salary. If you are planning to save a percentage of your earnings, then you should have a budget, and bear in mind that your budget should include everything you spend money on monthly; even money spent on airtime for your mobile device and money you set aside for charity. This is not the kind of budget that you carry around in your head; you have to write it out or have it typed out in a document where you can look through it as frequently as you need to. Write out how much your disposable income is on a monthly basis and how much you intend to save. Also, write out every single item or service that you pay for; right from the salon to the restaurant and others. In other words, ensure everything is covered; every single thing. At the same time, ensure that you monitor your budget. In situations where you record expenses that were not initially included in the budget, include them in the budget under review and make plans for such recurrence. 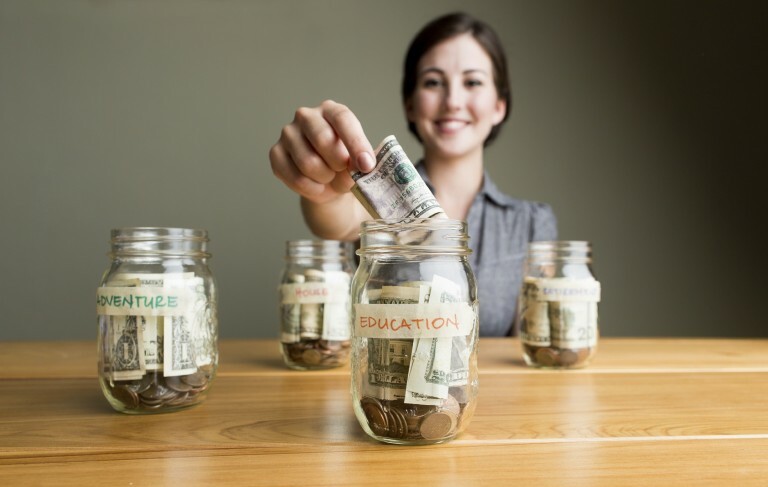 Regardless of what comes up, a portion of your salary needs to be saved. 4. WHERE HAVE YOU BEEN SHOPPING? Do you find yourself indulging in impulsive shopping and dwelling less on how to save money after payday? Well, now is the time to put a stop to it. Where you shop is just as vital as what you are buying. A man once bought a portable wardrobe at a shop close to his residence at N11,400 and after a few months, it began to fall apart mainly because he overloaded it. So, he needed to get a new one and decided to go to a wholesale store where he could get it cheaper as he was working on saving more money. He found a store about an hour drive from where he resides and got the same wardrobe for N4,000. Lesson learnt. Your debit card or ATM card (Automated Teller Machine) could prove to be a lifesaver in more than a few situations. However, without caution and discipline, it can contribute to you staying poor. Why? Simple! You keep spending the money you have saved. Be reminded that getting a debit card costs money. For instance, in Nigeria, you receive a N1, 000 debit alert from your bank for requesting for an ATM card. Carrying an ATM card has a strong potential to leave you with far less than you planned to save at the end of the month. Here’s what you should do; get an ATM card for your operational account. For your savings account, avoid the debit card as much as you can. Te stronger you can resist the urge to get one, the safer your savings will be. If, for instance, you need to buy a car tracker on Cheki that costs N40,000 for your car, withdraw that exact amount without any extras. In essence, there are good spending habits and there are bad ones. Carrying an ATM card for your savings account is a bad idea. 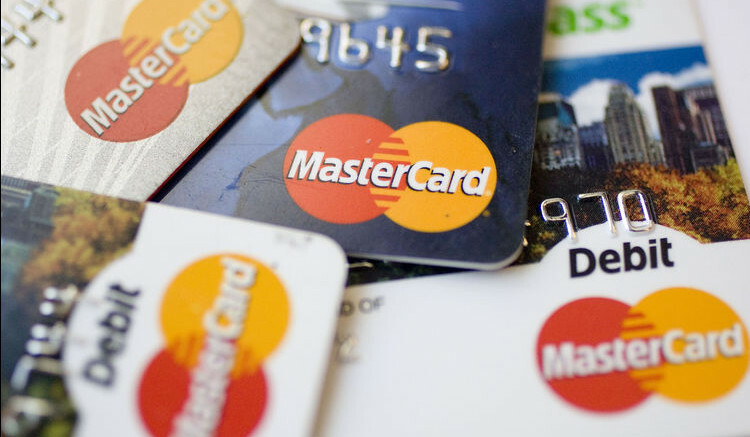 A study has shown that by carrying your debit card with you on a day-to-day, you are likely to spend 12% more than you usually would have spent. The reason is simple. It is an easier way to spend money. If you have never had to calculate your hourly rate, now is the time to do it. Break it down. For instance, if your net salary is N80,000 and you work from 9:00am to 5pm between Mondays and Fridays, this means you work for 8 hours daily, 40 hours weekly and roughly 160 hours monthly. Going by this figure, the hard fact is that you earn N500 for every hour you work. So, if for instance, you want to see a movie in Lagos, let’s break it down – A ticket costs N1,500. Popcorn costs N600. A drink costs N300 while a cup of ice cream goes for around N600. Altogether, seeing a movie would cost you N3,000, which translates into 6 hours of work. At this point, you then decide if you still want to go ahead with the movie. If you feel it is worth it, feel free to proceed. If, however, you think otherwise, take a walk knowing you made a sound financial decision within your monthly budget. At a glance, this sounds like a lot of work; having four bank accounts. However, it’s a strategy that will work if you have extremely long-term plans for your savings. This is how it will work. “A” represents Activities: This account is dedicated to things you want and not necessarily things you need. This account fuels things like shopping or hanging out with friends. This is the account that you should link your debit card to help you fight the urge to overshoot your monthly budget for this. “B” represents Bills: Regardless of your lifestyle, you will have bills to pay and this is the account that should be dedicated to that. You use this to take care of recurring bills like airtime, rent, electricity bills, refilling the gas. If you can, this should be the account tied to your salary account to enable you to transfer to other accounts based on your budget and savings plan. “C” represents Crisis: We all have that moment when something suddenly comes up that we didn’t expect. These are called emergencies and this is precisely what this account should be created for. You can start with 5% of your income and gradually add a percentage or two over the next few months. “D” represents Dream: This account should be tied to things like a dream vacation, your plan to pamper yourself with an affordable SUV or a long term plan to buy a house in Nigeria; especially one that you want to save towards. You should bear in mind that this is not an account for emergencies of any kind. It is simply an account where you want to keep your money for important things. Eating homemade meals helps you save more money. Dining out is one of the biggest pitfalls to saving for people. With some level of planning and discipline, it’s a habit that will yield results and save you more money. You can start by buying affordable foodstuff at home. If you have a refrigerator, possibilities get even more exciting for your dining habits. Come up with a weekly plan for your meals and remember that eating well shouldn’t be limited to eating at restaurants all week long. It is okay to eat out occasionally but when it becomes a daily habit, the figures begin to build up much faster than you would have thought it possible. Research has shown that meals sold at restaurants cost more than what a meal cooked at home costs. In a study conducted by the University of California, it was found that individuals making $60,000 (not the poor) are most likely to visit fast food chains. The more expensive the restaurant, the higher the figure. Better still, you can plan your meals with a service like Wiredmeals. This way, you save much more since you can order your meals online. The truth is that the rules of saving must be modified based on your lifestyle. For instance, where do you reside? Let’s take a closer look at this. Let us assume that you reside in a 2 bedroom flat that costs you N300,000 annually, the next question is how much is your monthly income? Let us put your net at N160,000. For accommodation, the best saving plan is that which revolves around saving 25% of your income or less. Back to our example, if you save 25% of your income, that would be N40,000 on a monthly basis. If you save this for a year, that’s N480,000, which covers your next rent; with a clear N180,000 extra. This helps put the percentage of your saving that should be saved for rent in perspective. You would be amazed at how much you are able to save when you buy used items instead of new ones. There are several places to get these in Nigeria. We are talking about used furniture, electronics, fashion items and accessories and even cars. If you’re buying a used car, ensure you get a mechanic to inspect the vehicle before you pay for it. Same goes for electronics and other items that can be tested. Not a lot of people would say no to an opportunity to make extra money. Multiple streams of income help you plan better as this translates into income and as you might have guessed, more money to save. For instance, you could manage an online community for a company and earn extra cash or you could help a local magazine develop content. Here are series of ideas for online jobs you can take up in Nigeria. 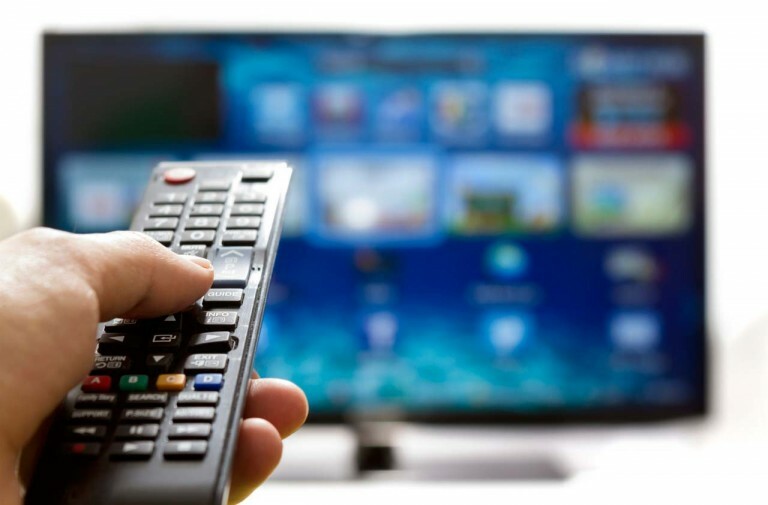 Rather than budgeting a chunk of your income on expensive cable TV subscriptions, you can seek out alternatives. The idea here is to avoid spending excessively on transportation and staying smart about the expenses you incur when moving around. Also, those short distances that you can cover with a stroll should not be replaced with rides in tricycles if you live in a city like Lagos. If you take a tricycle worth N100 to a salon and back home three times a week, then you would have spent N1,200 in a month and N14,400 in a year. You could have saved that with a stroll. The exception here would be in cases where you are in a hurry. 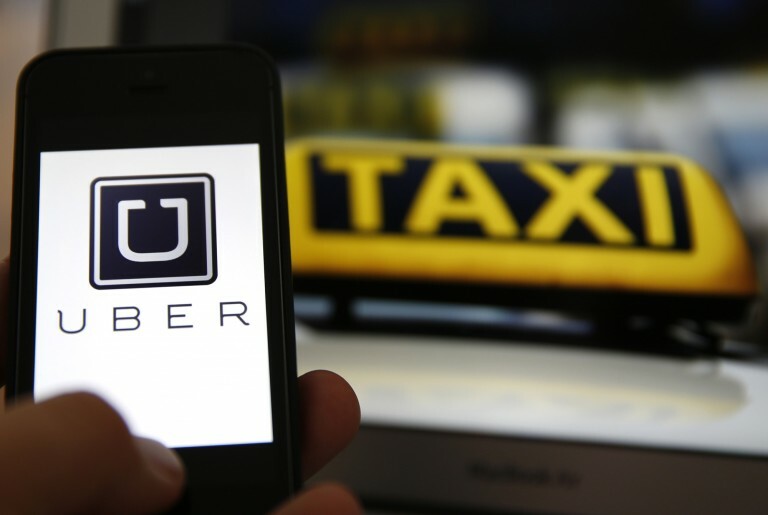 File illustration picture showing the logo of car-sharing service app Uber on a smartphone next to the picture of an official German taxi sign in Frankfurt, September 15, 2014. A Frankfurt court earlier this month instituted a temporary injunction against Uber from offering car-sharing services across Germany. San Francisco-based Uber, which allows users to summon taxi-like services on their smartphones, offers two main services, Uber, its classic low-cost, limousine pick-up service, and Uberpop, a newer ride-sharing service, which connects private drivers to passengers - an established practice in Germany that nonetheless operates in a legal grey area of rules governing commercial transportation. To master the art of saving more of your salary, you must work with multiple strategies to help you achieve your goals. Pay attention to your spending habits and things you spend your money on.In essence, stay disciplined and tell us which of these tips work best for you. When thinking of how to save money after payday, it is important to ask yourself realistic questions. For instance, is it easier to save N5,000 daily or weekly rather than aiming for N1 million annually? The more realistic your targets are, the more connected you are to it and the more practical it is to achieve it. Be honest and stay true to the facts. In essence, stay disciplined and tell us which of these tips work best for you. Finally, we want you to suggest your own saving tips in the comment section below and tell us how it works. Re: HOW TO LIVE WELL AND SAVE IN A RECESSIVE ECONOMY.